With the inclusion of contemporary machines and advanced tools in all our processes, we are able to manufacture, export and supply a distinguished assortment of Fibre Glass Fume Exhaust Systems. With the inclusion of contemporary machines and advanced tools in all our processes, we are able to manufacture, export and supply a distinguished assortment of Fibre Glass Fume Exhaust Systems. Only high quality raw material is used while manufacturing the offered range, for increased compliance with international standards of quality. The offered systems are highly appreciated among clients for their excellent design, corrosion resistance, durability and low maintenance. Apart from this, our range is offered in various specifications and can be customized, as per precise needs of our clients and at highly competitive prices. 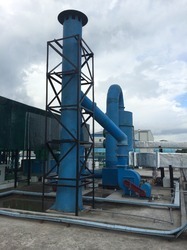 We are an eminent entity engaged in offering an extensive range of quality assured FRP Fume Exhaust System. 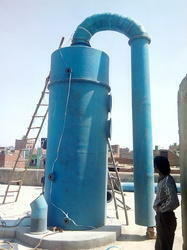 These systems are manufactured using excellent quality raw material and latest technology by our skilled professionals. 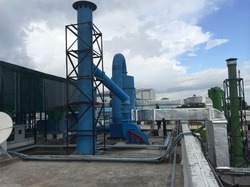 In order to ensure quality, FRP Fume Exhaust System is stringently tested on various parameters by our experts. Apart from this, remarkable quality and sturdy structure increase the demand of our offered range in the market. Looking for Fibre Glass Fume Exhaust System ?